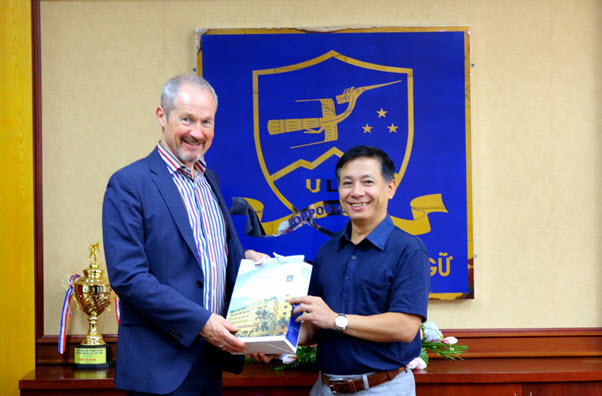 On November 14th, 2018, ULIS-VNU had a meeting with Mr. John Macalister – Vice Dean of the Faculty of Social Sciences and Humanities in charge of the international cooperation of Victoria University of Wellington (VUW), New Zealand. 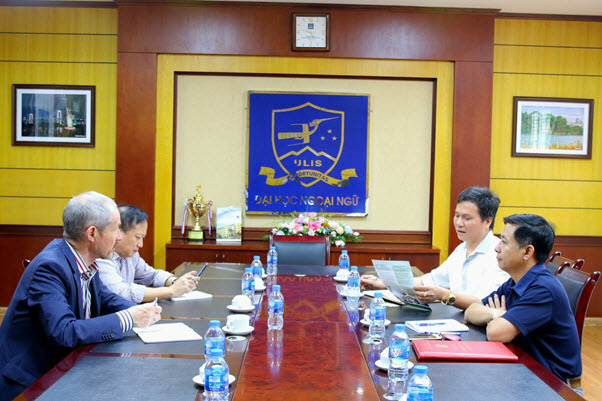 The meeting was attended by Vice President Lam Quang Dong, Dr. Do Minh Hoang, Head of the Cooperation & Development Office, and Dr. Huynh Anh Tuan, Dean of the faculty of Graduate studies. ULIS and VUW signed a memorandum of understanding (MOU) on March 20th, 2018 in nine areas: student and faculty exchanges, short courses, linking teaching, and collaborative research, etc. In this working session, representatives of the two universities exchanged specific information on graduate training activities with the hope of creating opportunities for graduate students to have more options to study at VUW, the University is in the top 3% of the world’s best universities. (According to QS World University Rankings 2017). Vice President Lam Quang Dong said that the University wished to promote cooperation with VUW to improve the quality of graduate education. The Vice President also invited John Macalister to attend the International Workshop on “Teaching and learning foreign languages associated with specialization in the context of international integration” held by ULIS on November 17th, 2018.